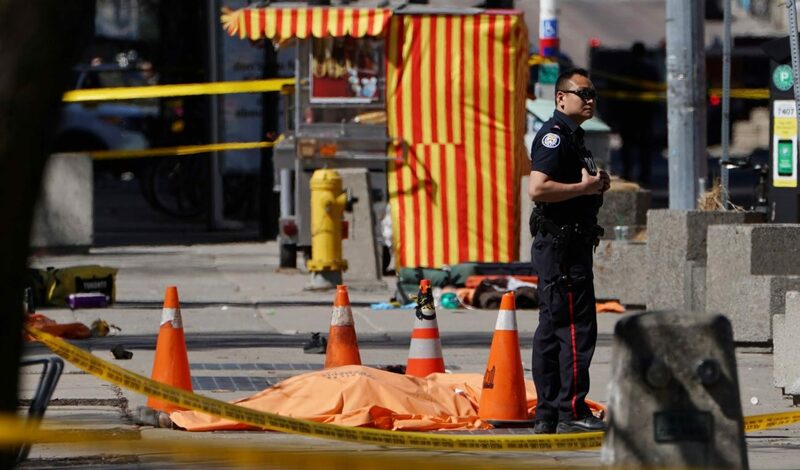 TORONTO (CNS) — Toronto Cardinal Thomas Collins called for special prayers after a van jumped a curb and killed at least 10 people on a busy Toronto street. Although officials said the April 23 incident did not appear to be terrorism, they said it did appear to be deliberate. Cabinet members from leading industrialized nations were meeting in Toronto in preparation for a G-7 summit in Quebec in June. Authorities identified the driver as Alek Minassian, who was charged with 10 counts of first-degree murder. The Associated Press reported witnesses said he appeared to intentionally jump a curb in the North York neighborhood as people filled the sidewalks on a warm afternoon. He continued for more than a mile, knocking out a fire hydrant and leaving bodies strewn in his wake.